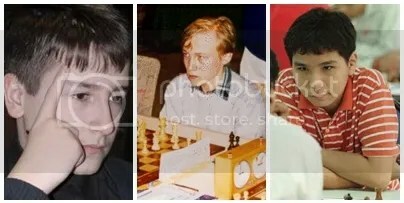 As we account the youngest International Grandmasters (GMs) records and to be relevant with times, three(3) distinct age brackets were formed i.e. GMs @ 13-years-old and under, GMs @ 14-years-old and GMs @ 15 to 15½ years old. Using Bobby Fischer’s age at 15yrs-6mos-1day as the benchmark when he attained his GM title, to date, there are now 35 GMs (including Fischer) who held the record for the youngest chess grandmasters (GMs) in history. The age listed (Yrs, Mos & Days) was the age reckoned on the actual date a player had qualified as a GM (not FIDE’s official rating dates) and the year they had gained the title. 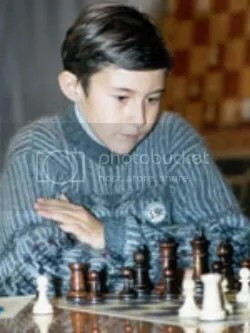 Sergey Karjakin (born January 12, 1990) formerly of Ukraine Federation (now with Russia) topped the list of the youngest to attain the GM status at the age of 12yrs & 7mos. He achieved his 3rd and final GM norm on August 12, 2002 at the international chess tournament that was held in the town of Sudak, the Crimea Peninsula, Ukraine, from 2nd to 12th August 2002. His official FIDE rating then was 2523 (July 2002). So far, Karjakin is the only player in the world who attained the GM title under 13-years-old. 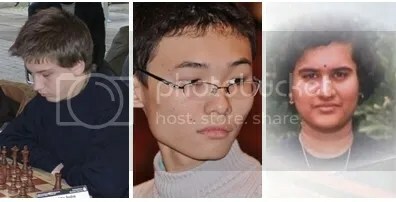 Parimarjan Negi (IND) at age 13yrs-4mos-22days is the youngest among the five 13-years-old, followed by Magnus Carlsen (NOR), Wei Yi (CHN) , Bu Xiangzhi (CHN) and Richard Rapport(HUN). The five are listed 2nd, 3rd, 4th, 5th & 6th youngest GMs in history. 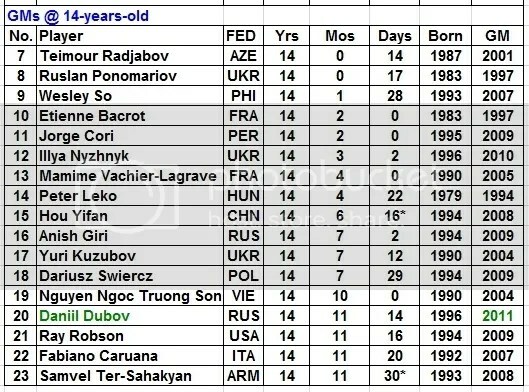 Teimour Radjabov (AZE) at age 14yrs & 14 days was the youngest among the 14-years-old, followed closely by Ruslan Ponomariov (UKR) at age 14yrs & 17days and Wesley So (PHI) at age 14yrs-1mo-28days. 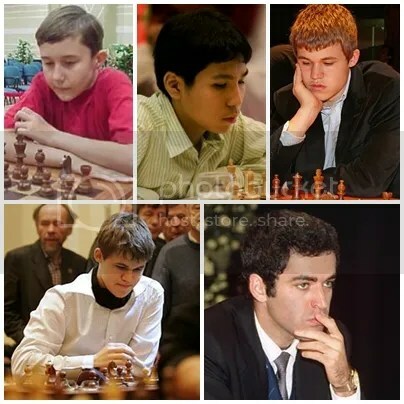 They are listed as the 7th, 8th & 9th youngest GMs in history. 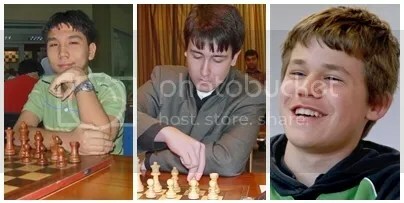 On 01 April 2011 Daniil Dubov of Russia barged in the 14-years-old bracket as the 20th youngest GM at the age of 14yrs-11mos-14days. 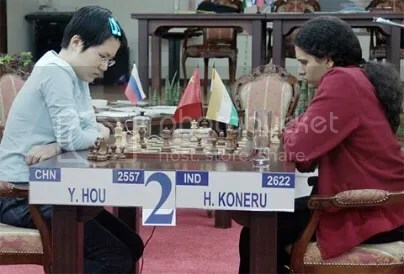 Hou Yifan (born 27 Feb 1994) of China @ 14yrs-6mos-16days is the youngest female grandmaster in history. She achieved her 3rd and final GM norm on 12 Sep 2008 when she qualified as ‘Finalist’ of the Women’s World Chess Championship 2008 after winning against Humpy Koneru in the semi-finals via tiebreaks. FIDE Title Regulations automatically awards a GM norm to a “Finalist in the Women’s World Championship”. She is listed as the 15th youngest GM in history. 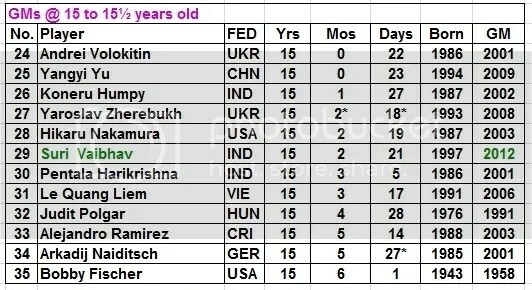 In the 15 to 15 ½ years old bracket, Andrei Volokitin(UKR) at age 15yrs & 22days came in the youngest followed by Yu Yangyi(CHN) at age 15yrs & 23days and Koneru Humpy(IND) at age 15yrs-1mo-27days (2nd youngest female GM). The three are listed as the 24th, 25th & 26th youngest GMs in history. 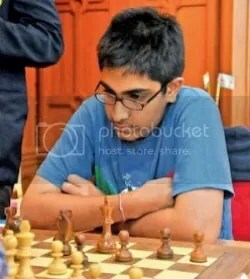 Suri Vaibhav (born 8 Feb 1997) of India was the latest 15-years-old Grand Master when he won the Luc Open in Lille, France on April 29, 2012. 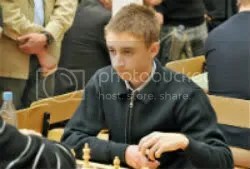 He was 15yrs-2mos-21days at that time and.currently the 29th Youngest Grandmaster. 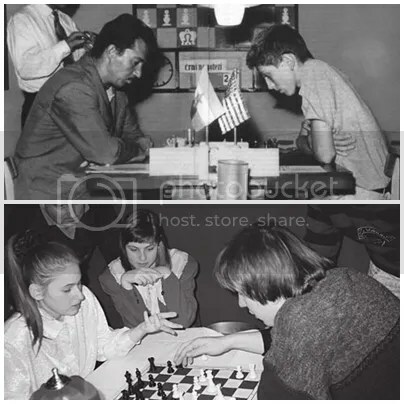 Also worth mentioning is Hungary’s Judit Polgar, who in Dec 1991 after winning the Hungarian National Championship @ age 15yrs-4mos-28days was the first person to break USA’s Robert ‘Bobby’ Fischer long standing record for over 32 years as the youngest grandmaster in history which he established in Sep 10, 1958 at age 15yrs-6-mos-1day. Currently, Judit Polgar is the 32nd (3rd youngest female GM) and Bobby Fischer the 35th youngest GM in history. In the 3-Age-Group or bracket listed above, 6-GMs are @ 13-years-old and under, 17-GMs (No. 7-23) are @ 14-years-old and 12-GMs (No. 24-35) are at 15 to 15½ years old for a total of of 35 GMs. The next milestone for a GM to achieve is the Super-GM (SGM) status. Super-GM is an unofficial title used to refer to those GMs with a 2600+ rating. 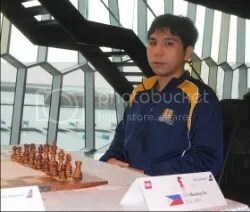 Wesley So from the Philippines who registered 2610 officially in October 2008 FIDE rating at age 14yrs-11mos-22days is the youngest in the Top List of 7 youngest GMs who had breached the 2600+ mark. 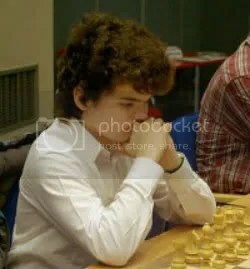 Azerbaijan’s Teimour Radjabov at age 15yrs & 20 days came in 2nd youngest and closely followed by the 3rd youngest – Norway’s Magnus Carlsen who at age 15yrs & 32 days was just 12 days older than Radjabov. Ukraine’s Ruslan Ponomariov who was not listed in the previous May 2012 publication is now included as the 5th youngest to breached the 2600 level at age 15yrs-2mos-21days. FIDE January 1999 Rating list as reported by The Week In Chess 218 had listed Ponomariov’s rating at 2609. The latest 15-year-old who made it among the youngest Super-GM in the May 2012 FIDE rating list was Ukraine’s Illya Nyzhnyk who breached with a 2610 rating. He attained the rating at the 2012 European Individual Chess Championship and currently now the 6th youngest at age 15yrs-7mos-4days. The ensuing landmark for a Super-GM to level up is the 2700+ rating fondly called unofficially as the Hydra-GM or Hyper-GM (HGM). 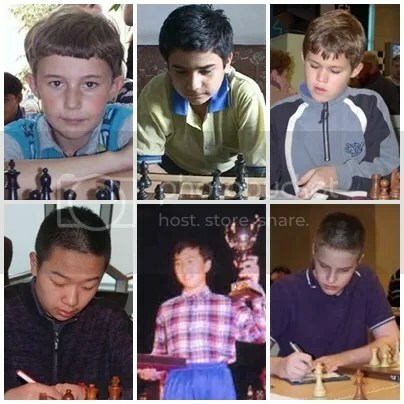 The ‘Top List’ of 11 youngest GMs who had breached the HGM mark is lead by Magnus Carlsen as the youngest at age 16yrs-7mos-1day when he registered 2710 officially in July 2007 FIDE Rating list. 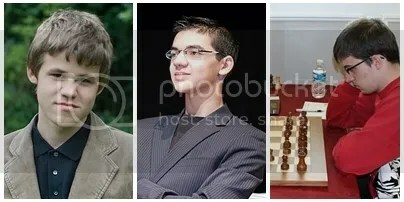 Netherland’s Anish Giri came in 2nd youngest officially in July 2011 rating at age 17yrs & 3days. Frenchman Maxine Vachier-Lagrave is the 3rd youngest at age 17yrs-11mos-10days. 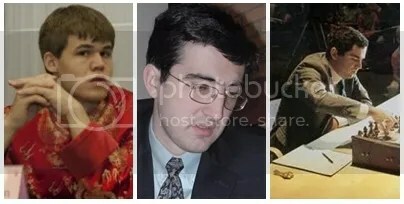 Vladimir Kramnik of Russia who was not listed in the previous May 2012 publication is now included as the 5th youngest to breached the 2700 mark at age 18yrs & 6days. FIDE July 1993 Rating list as reported by olimpbase.org had listed Kramnik’s rating at 2710. The newest youngest Hyper GM to join the group was GM Wesley So, who officially registered a 2701 rating in the March 2013 FIDE rating list and became the 10th youngest to breached the 2700 mark at age 19yrs-4mos-20days. This he achieved at the Reykjavik Open on 27 February 2013 where he tied for first place, a 3-way tie, with GMs Pavel Eljanov (Ukraine) and Bassem Amin (Egypt). The pinnacle rating and dream of every HGM is to breach the 2800+ barrier. To-date there are only 6 GMs in history officially who breached to what we may call eventually as the Elite Grandmaster (EGM) level. Magnus Carlsen as the youngest EGM in history at age 18yrs-11mos-2days when he registered 2801 in Nov 2009 FIDE rating list. Vladimir Kramnik of Russia is the 2nd Youngest EGM at age 26 years & 6 days when he registered 2802 in July 2001 FIDE rating list. USSR’s Garry Kasparov was the first ever player to breached the 2800 when he submitted a 2800 in Jan 1990 official rating list at age 26yrs-8mos-19days old. Kasparov now listed as the 3rd Youngest EGM in history. Armenia’s Levon Aronian was the latest to breached the 2800 barrier when he nailed 2801 in Nov 2010 FIDE rating list and is listed 4th youngest EGM at age 28yrs & 26days. 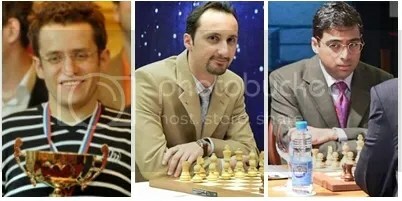 Veselin Topalov of Bulgaria made it 5th youngest EGM at age 30yrs-9mos-17days in Jan 2006 FIDE rating list with 2801 rating. The 6th youngest EGM is India’s Viswanathan Anand at age 36yrs-3mos-21days with 2803 in April 2006 FIDE rating list. The zenith and ultimate aspiration of every GM is to become a World Champion. The official World Chess Championship (WCC) begun in 1886 with Wilhelm Steinitz at age 49yrs-10mos-12days became the 1st official World Chess Champion . Since then there were 15 World Chess Champions recorded as Official and/or Undisputed World Chess Champions with Viswanathan Anand as the reigning 15th World Champion. 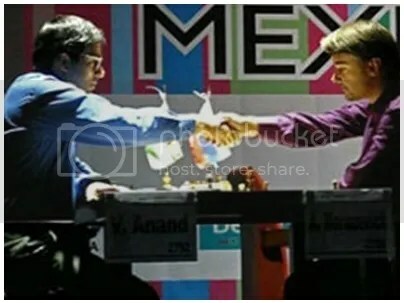 Anand made his first as the Undisputed World Champion at age 37yrs-9mos-19days in 2007  although he also won the FIDE World Championship 7-years earlier in 2000 but this was during that period 1993 until 2006 when there were still two world chess champions reigning at the same time, the champion of the Professional Chess Association (PCA) & the FIDE’s champion. 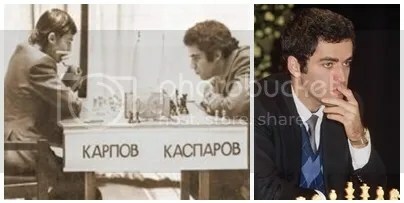 Garry Kasparov was The youngest to capture the official & undisputed World Chess Championship who at age 22yrs-6mos-27days on November 9, 1985 became the 13th World Champion. 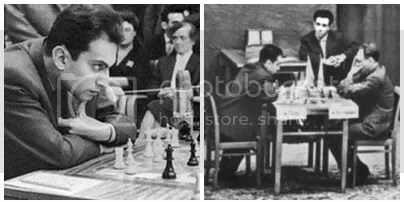 Mikhail Tal of USSR was the 2nd youngest World Champion who on 7 May 1960 became the 8th World Champion at age 23yrs-5mos-28days. 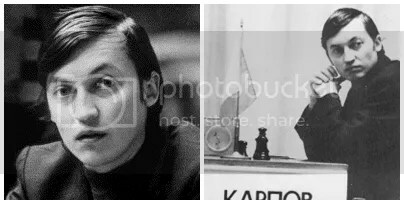 Anatoly Karpov of USSR, who in 1975 became the 12th official and undisputed World Champion by default, is the 3rd youngest World Champion at age 23yrs-10mos-11days. excellent compilation – the most telling stat for me is Carlsen, aged just eighteen, achieving EGM status a full eight years younger than twenty-six year old Kramnik (second after Carlsen) and half Anand’s age! This kid is un-be-liev-able! Read more hereat: Will Magnus Carlsen make it as the 2nd Youngest World Champion come WCC 2013 ??? An excellent compilation undoubtedly but one can draw numerous inferences from it. Perhaps the WCC match we are about to witness is a match between the guy who peaked youngest vs the guy who peaked oldest? You might have missed Kramnik in your “Youngest Players to Reach 2700” list. 18yrs & 6days. That would place him 5th youngest in the 2700+. Thanks for the link. My previous reference was limited to Kramnik’s FIDE rating Progress Chart that only started on Jan 2000. I’ll make the necessary adjustment in the 2700+ matrix. 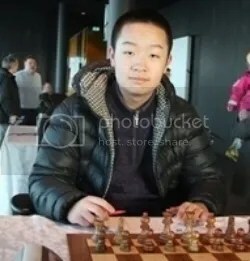 Wei Yi is now officially the youngest ever to break the 2600 barrier. Kramnik defeated Kasparov in the WC match in 2000 at the age of 25. Most recognized Kramnik as the official WC after that, even though it was during the period of 1993-2006 when unification of world championship titles had yet to take place. anyway, great list. Very informative. Thanks for reminding … yes we will be updating this listings not just for GM Caruana but also to include Alexander Grischuk (2800+). And also the other categories (GMs, 2600, 2700 & WC). Pls do not forget nakamura who has also breached the EGM at age 27…thanks for a very informative chess ratings…more power. Wei Yi will soon breach 2700 at 15!! You obviously missed Carlsen on the youngest World Champion list. Thanks. Please also add world’s youngest top ten entry and world’s youngest number 1 as well. This will be helpful because of problems with rating inflation. Youngest 2700 is Wei Yi. Youngest number 1 is probably between Carlsen, Kasparov, & Fischer.